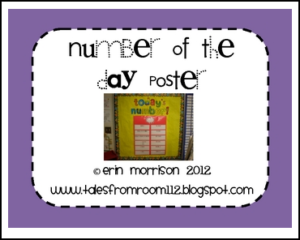 This product includes everything you need to make a “Number of the Day” poster. Use this poster each day before starting math. This is a great addition/alternative to your calendar routine!